C# is a modern, object-oriented language with lots of great features, such as type-inference and async/await. The tooling is excellent, and there is extensive, well-written documentation. Our mentors are friendly, experienced C# developers who will help teach you new techniques and tricks. C# is a multi-paradigm, statically-typed programming language with object-oriented, declarative, functional, generic, lazy, integrated querying features and type inference. Object-oriented means that C# provides imperative class-based objects with features such as single inheritance, interfaces and encapsulation. Declarative means programming what is to be done, as opposed to how it is done (a.k.a imperative programming) (which is an implementation detail which can distract from the domain or business logic). Functional means that functions are first-class data types that can be passed as arguments to and returned from other functions. Generic means that algorithms are written in terms of types to-be-specified-later that are then instantiated, when needed, for the specific types provided as parameters. Lazy (a.k.a "deferred execution") means that the compiler will put off evaluating an item until required. This lets one safely do weird stuff like operating on an infinite list--the language will only create the list up to the last value needed. Integrated Querying means the language feature called LINQ "Language-Integrated Query", which enables lazy querying directly within the language, not only its own objects but, also, external data sources through formats such as XML, JSON, SQL, NoSQL DBs and event streams. Type inference means that the compiler will often figure out the type of an identifier by itself so you don't have to specify it. Scala and F# both do this. Syntax is similar to that of other C-style languages such as C, C++ and Java. .NET is the managed environment within which C# runs, so you get access to the entire .NET ecosystem, including all packages on nuget.org. .NET used to be Windows-only but, with the release of .NET Core -- as well as Mono -- you can also use C# on Mac, Linux or Unix-based systems and on mobile platforms too. C# also has features, amongst others, to make programming with multiple threads/processors, parallelisation, asynchrony, unmanaged code in a managed environment and language interoperability easier. It is developed and maintained by Microsoft, who provides the official documentation. The c# markdown problem is my favourite, it is sufficiently complex to be interesting, and is similar to a lot of the code that I see. Writing good quality code from scratch is generally easier than refactoring existing bad quality code to make it good. 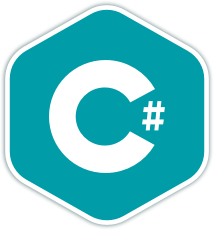 Once you join the C# language track, you will receive support and feedback from our team of mentors. Here are the bios of a few of the mentors of this track. My love for technology, design and learning made me choose to be a developer. Building professional and personal projects with C# made me really like this fully-featured and expressive language. I am a team lead / architect that has used C# to build mobile, Web, and desktop apps. I am passionate about software development and love working in C#. I love C# for its simplicity and consistency. I use C# in building Mobile apps through Xamarin, building Web and Desktop applications. I've been working in C# for 5 years. Building everything from simple console apps to major data-analytics tools. I've been using C# professionally for 8 years and love its versatility! These are a few of the 120 exercises on the C# track. You can see all the exercises here. The C# Maintainers are the brains behind the C# Track. They spend their spare time creating interesting and challenging exercises that we can all learn from. We are incredibly grateful for their hard work. Here are the bios of a few of the maintainers of this track. I am a developer with a passion for learning new languages. C# is a well-designed and expressive language that I love programming in. I am a software engineer with a passion for testing and C#. If you have any questions about the C# track or the language in general, feel free to ask; I'd love to hear them. Get started with the C# track. As with everything on Exercism, it's 100% free!